Meredith will be speaking about gender and investing. Meredith will be speaking about women and investing at this pre-Berkshire event. Meredith will be speaking about alternative investments with a focus on hedge fund investing. Meredith will be speaking about women and investing at this luncheon event. Meredith will be speaking about women in investing. Meredith will be speaking about women and investing. Meredith will be speaking at the Global Fund Forum on Responsible Investing. Meredith will be providing keynote remarks for this event, now in its second year. Meredith will be the keynote speaker for this New York event. Meredith is a featured speaker at this year's TedX event at University of Illinois Champaign Urbana. The theme of the event is "Roots - The Beginning of All Things Are Small." Meredith will discuss the findings of her book "Women of the Street: Why Female Money Managers Generate Higher Returns (And How You Can Too)" with the diversity initiative within the Securities and Exchange Commission. Want to make more money for you and your clients? Increase gender diversity in the investment management industry. There is a growing body of proof that adding women to investing can boost returns, reduce volatility and create jobs from Wall Street to Main Street. This luncheon discussion will provide key facts about how gender diversity can impact your bottom line, while also providing practical solutions to recruiting and retaining female employees. Meredith will be moderating a panel of women investors. Learn from the best of the "broad market"
Meredith will be speaking on a panel about women and the global economy. Meredith will be part of a panel discussing the intersection of ESG and diversity within the investment landscape. The topics of discussion will be cognitive and behavioral alpha within the investment landscape. 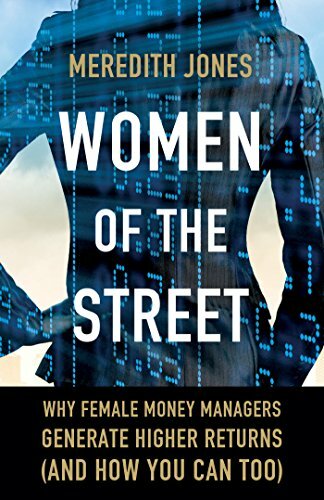 Women of The Street: Why Female Money Managers Generate Higher Returns (And How You Can Too) will be featured. Events in Des Moines and Cedar Rapids to discuss "Women of The Street: Why Female Money Managers Generate Higher Returns (And How You Can Too)"
This theme addresses a question that continues to challenge investors: How can you achieve your return objectives in a low return environment? While taking a cue from the mood of the electorate, the title is meant to encourage investors to consider this question from several angles. Mobilize toward innovative policies. What new portfolio construction techniques and investment processes can you implement? Question assumptions. “Everyone” thinks it’s a low return environment. What if they’re wrong? Better yet, what can investors do to prove them wrong? Embrace the new. What new ideas will allow portfolios to outperform? Find the upside. Should a low return environment matter to long-term investors?